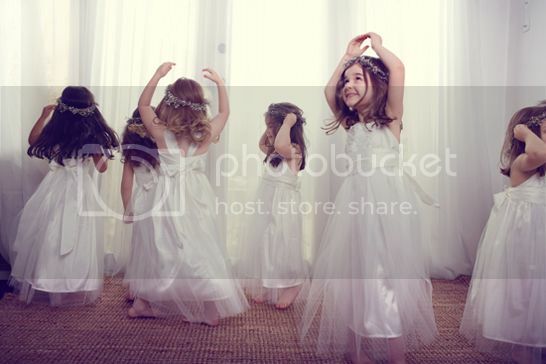 Having a flower girl in your wedding is such a sweet addition to your bridal party. 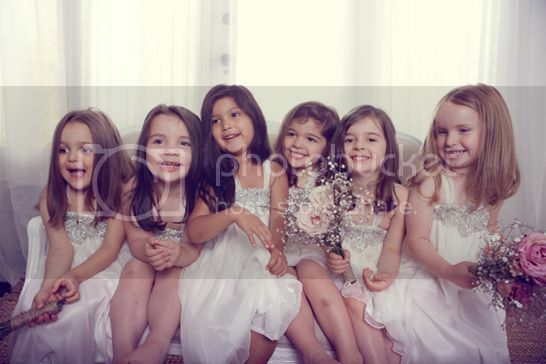 The innocence and prettiness that they bring just before you walk in the aisle is just priceless. 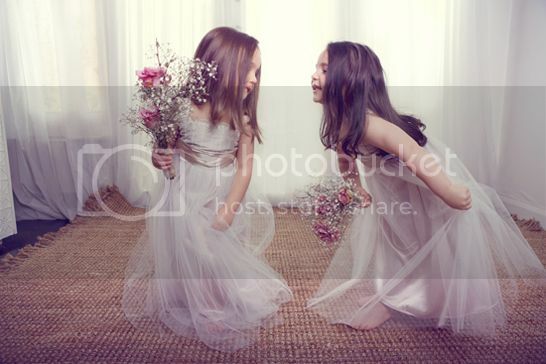 And sometimes, they are the mini-brides so to speak, that is why dollying them up is so much fun to do. 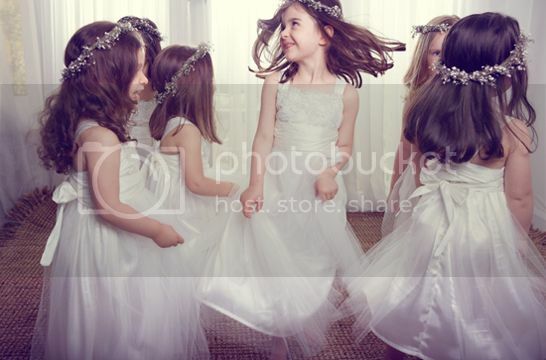 Today we have Anna Campbell's flower girl collection with hues of soft blue and creams. Which girl wouldn't want to own one? 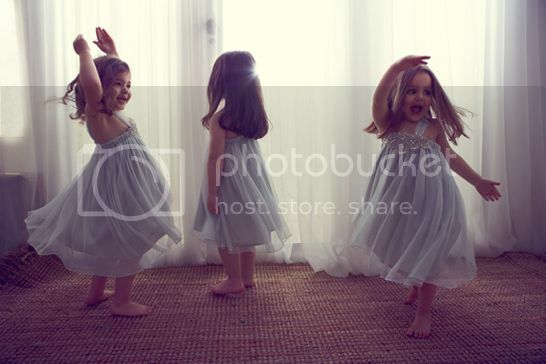 Stylishly done and how cute are those kids posing just like professional models or is it ballerinas? 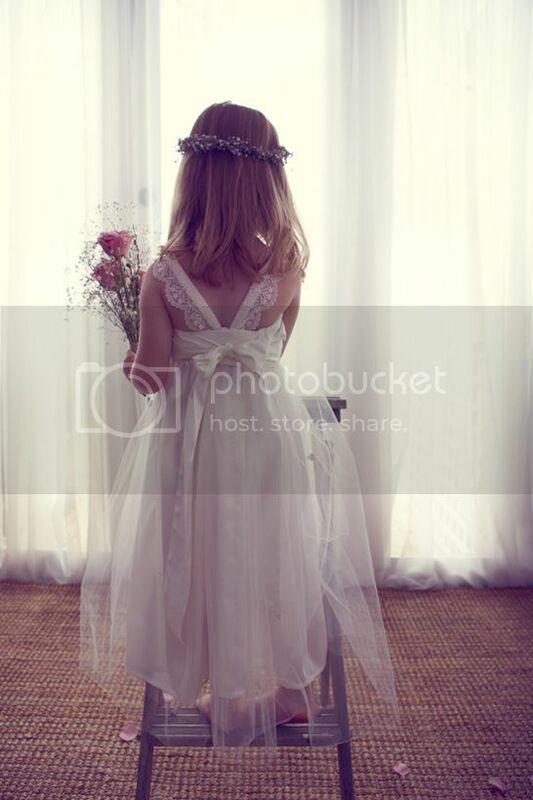 All photos from Anna Campbell.